Learn how to tap into your own innate psychic ability with a series of FANTASTIC mental exercises that will help guide you down the path towards the fulfillment of your psychic development. You do not need to possess any special gifts or have a superior intellect in order to develop your psychic abilities - just an open mind and a willingness to learn. 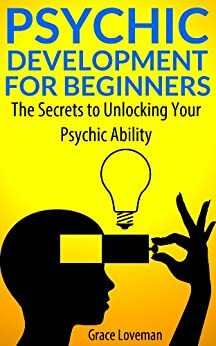 The book presents you with useful information about the history of psychic development, the zodiac, and tons of helpful exercises that will walk you through processes, ranging from beginner level up to advanced, so that you can hone your psychic abilities to the optimal degree. The book also provides you with information about several world renowned psychics so you can learn how each of them got started with their work as a psychic. Psychic development and harnessing the powers of your intuition are not as impossible as you might think. Check out what this book has to say and see just how far the powers of your mind can take you. Psychic Development: All you need to know about being psychic, improving psychic ability, mediumship, clairvoyance, and more! Good service. Delivered as described. Will use again. 2.0 out of 5 starsFull time job??!? Not recommended I'm sorry to say. The amount of "exercises" the author lays in front of you would take up most of a working day if you were to try to carry them out. Save your money and look elsewhere is my advice.